After the successful launch of Hayabusa and Intruder in the super-bike category, Suzuki is planning to add another feather to its cap. It is likely to launch another third super bike in India called GSX R 1000 also known as Gixxer. The bike will be imported as CBU's (Completely Built Units) spurred by the success of Hayabusa and Intruder. 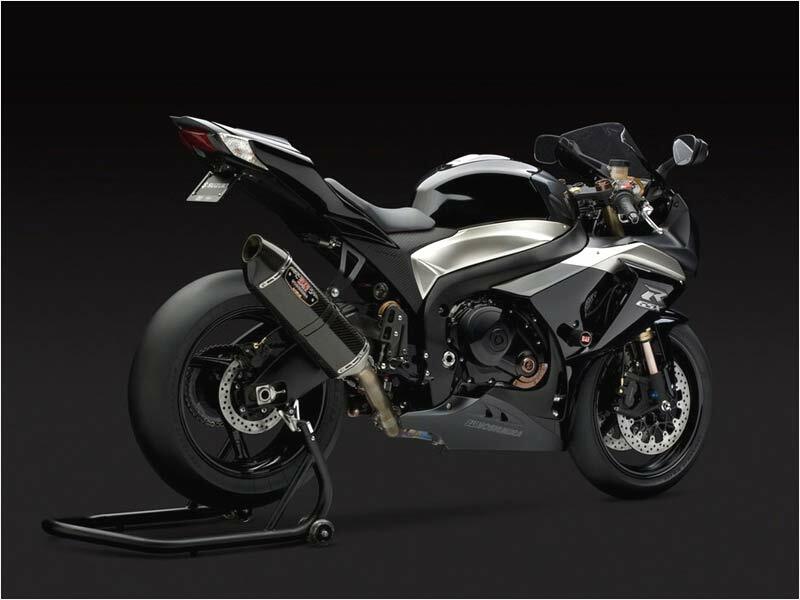 It is expected to face the heat of tough competition from Honda CBR 1000RR and CB1000R. The GSX R 1000 is loaded with fuel injection system, six speed gear box and liquid cooled engine. It also features switchable ECU maps through which the rider can opt for the full power ride or low performance ride depending on the tarmac conditions. The main talking point for the 2009 Suzuki GSX-R 1000 is the re-worked engine which is designed to maximize the combustion efficiency for more torque and power at different rmp range. The new engine improves the throttle response while reducing exhaust emissions. It produces a maximum power of 136 Kw with the 120Nm torque. Like the other 2009 bikes, Suzuki GSX-R engine is also a tad shorten from front to rear with the short wheelbase stretching the swing arm for better traction on the race track. With the redesigned combustion chamber, the Suzuki engineers have increased the compression to 12.8:1 in comparison with the previous version's 12.5:1. Like the 2009 Yamaha YZF R1, GSX-R also owns "Suzuki Drive Mode Selector (S-DMS)" system which allows the rider to choose from three available fuel injections and ignition system maps to adjust power delivery according to the preference of the rider. The rider can easily select between the 3 available maps named as A, B and C through a button fixed on the left handle bar. 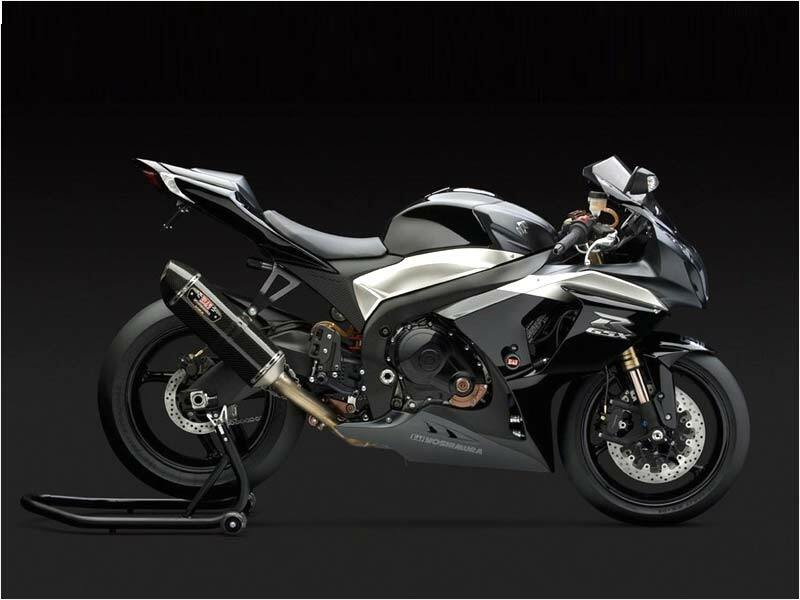 Suzuki GSX-R now sports a new aluminium swing arm which is thoughtfully designed to shelter the dual titanium mufflers lending a good look on each side of the bike. The bike also features fully floating 310mm drilled discs with race proven mono-block aluminium alloy front brake callipers. Now the newly chiselled fuel tank weighs lighter. The multi-reflector head light renders a new look with the beautifully placed halogen lamps sandwiched between position lights on each side. The rear indicators and brake LED are in sync with the seat cowls. The all new instrumentation cluster is centred around an analog tachometer framed by an elegant silver finish ring with an adjacent digital speedometer. The instrumentation panel now also features a programmable engine RPM indicator system marked by four LEDs. Even though the engine of the GSX-R is not as new as the Yamaha YZF R1 which boasts of cross-lane engine firing, the 2009 Suzuki GSX-R1000 is definitely a true racing machine. The new GSX R1000 is a well made bike with the sophisticated features for better comfort and handling. The Steering Damper is controlled electronically by the ECM which monitors the motorcycle speed and adjusts to the required damping force. The Showa's new Big Piston Forks (BPF) combined with a new rear shock absorber offers high end feedback with reduced weight. The new lightweight mono-block radial calipers mated to fully-floating 310mm discs offers superb stopping power. Now this ballistic machine has got a sharper and more aerodynamic look. It corners well with great traction and acceleration. The seat is very comfortable and we needn't stretch too much to the bars. The bike is a good package from Suzuki which has many a contemporary feature such as Advanced Exhaust System with MotoGP inspired titanium exhausts, a well sculpted fuel tank, on-board lap timer and revised Suzuki Drive Mode Selector controls which again put the bike to another level of comfort ability and handling. 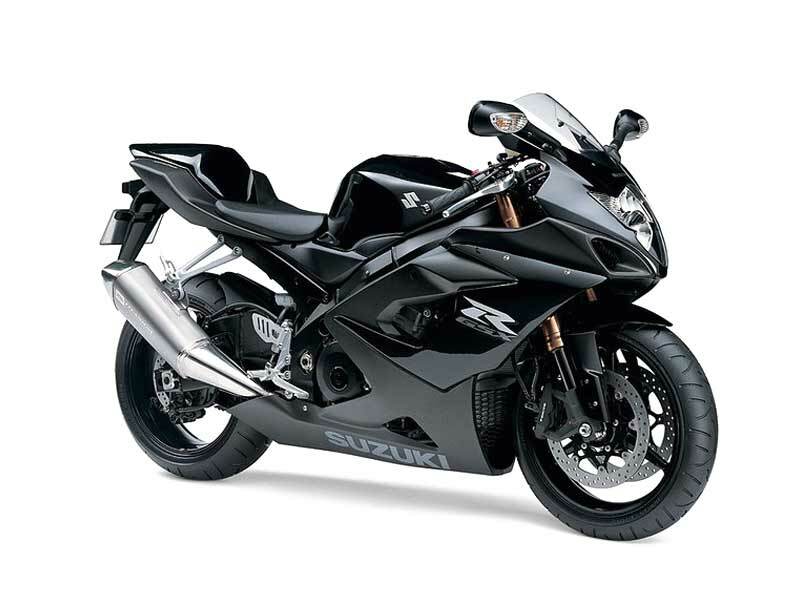 Suzuki GSXR 1000, a super cool sports bike with stylish looks, fetches an average road mileage of 24-27 kmpl. Suzuki GSX-R1000 is available in different shades of color such as Blue/White, Black/Orange, Yellow/Silver and the bike is expected to hit the Indian market in the early 2010 with the expected price range of around Rs 10-10.5 lakh.